I don’t think there’s any grand, mustachio-twirling conspiracy to keep women down. But that’s just it, there doesn’t have to be. If you pick books from what you see around you and what you’ve grown up with and the names you see in the trade press, none of which requires any sort of malice, the monoculture persists. People say it’s just SFF, but it isn’t. 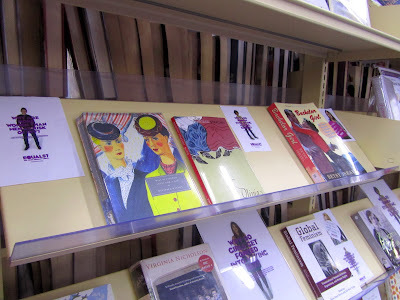 It’s literary fiction, it’s non-fiction, it’s everywhere that collections of books are assessed and displayed. The one exception might be romance, and female writers pay for their prominence there with the stigma that attends their entire genre. 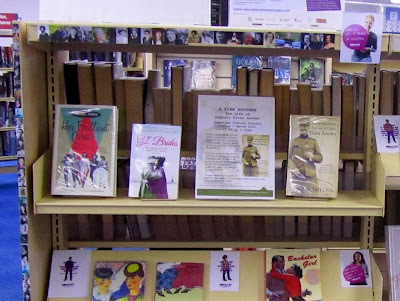 When it comes to work, I can make sure we don’t see a repeat of what McDougall reported when it’s my turn to create or top up displays at my library. I’ve tried to be mindful about this all along, but in the past few months I renewed my efforts. It’s a small thing, but it’s a concrete way in which I can help, and doing so is very satisfying. 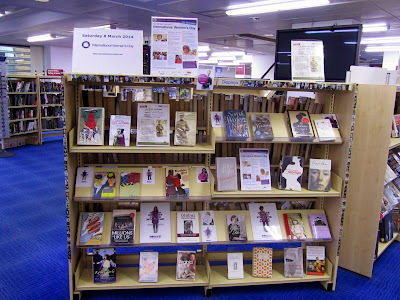 Also, this year I got to celebrate International Women’s Day library style, with — you guessed it — a book display. Last year I put together a small impromptu one on the day itself, but this year I got our premium display location and a much longer time frame: two display bays on the first floor facing the entrance for the whole week leading up to International Women’s Day. 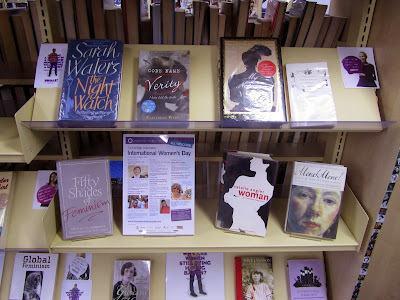 In addition to books, I used the excellent free resources put together by We Are Equal, and I linked the display to local IWD events. I also made sure to avoid insidious forms of inequality like the one Aarti was talking about the other day by featuring not only works about gender and inequality, but works by women writers. Hooray for small actions, and here’s to hoping they make a difference. Happy International Women’s Day, everyone. It's so nice to be able to do something concrete to celebrate and spread awareness (and it's even better when it revolves around books). This year I had my composition course focus one of their papers on issues related to gender equality. They turn them in next week, and I can't wait to see what they come up with. That's an awesome job you have, Ana! 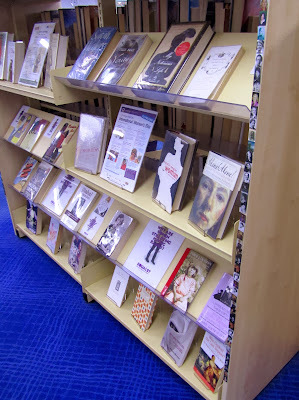 I would love to be able to curate one of those displays, and to be a customer at your library to peruse yours. Happy International Women's Day to you! Oh the VIDA count. It makes me so sad year after year. Happily, my own reading stats are well-balanced between men and women, without me trying -- I actually have to pay attention to stop myself from reading ALL women. I hope my library's put up a display like yours, because I LOVE it. Trisha: That's such a cool assignment! I wish I'd had you as my professor. Jenny: These days I read a lot of women effortlessly, but it took a while for me to get to this point. 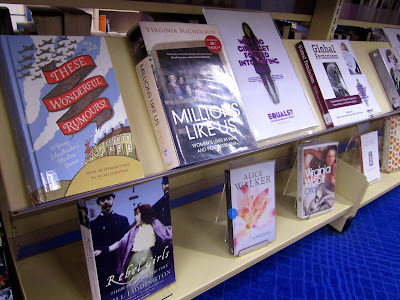 When I look back to where I was a few years ago, I remember how easy it is to go down the rabbit hole of dudes, dudes, dudes :P Anyway, I'm glad you like my display, and I hope your local library did something cool too! Yay for inclusion of Miss Pettigrew Lives for a Day! And also thanks for sending me down a rabbit hole with the link to the "Year I Didn't Retweet Men". :) I think that was at least a half hour ago when I clicked that link. So many wonderful books there - and those links are totally rabbit-hole material: I may not re-emerge until next year's celebration!